Crude oil was rallying since June of 2017 but halted the rally in February of 2018 and entered a consolidation mode. 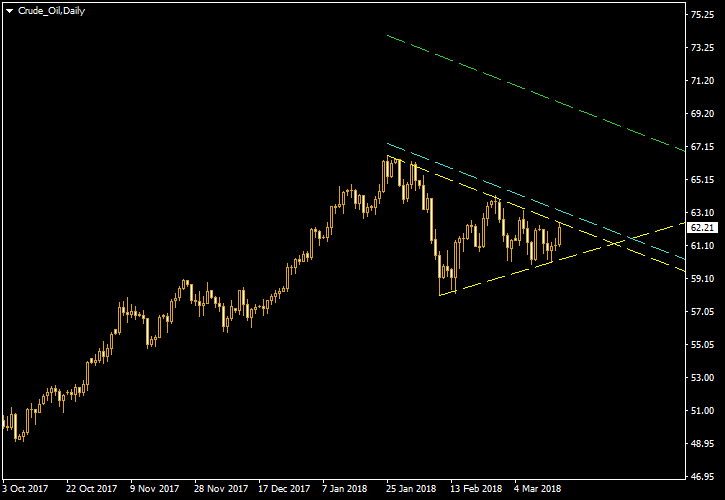 As a result, a symmetrical triangle has formed on the daily chart of the commodity. Such pattern occurs when prices move sideways with ever decreasing volatility. Usually, the pattern is neutral, having equal chances for resolving itself either to upside or to the downside. 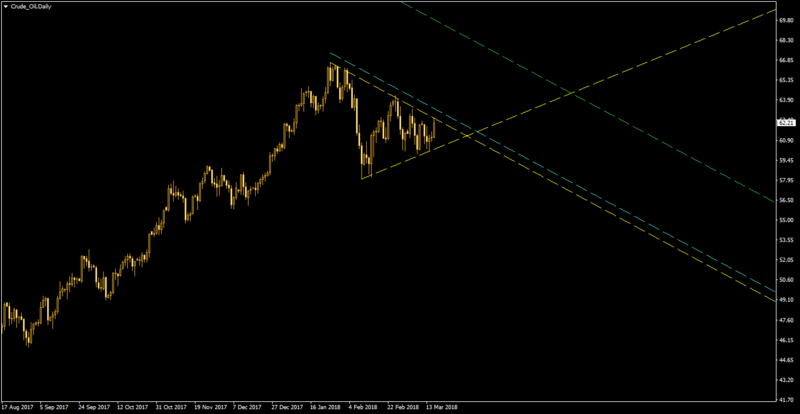 But considering the previous rally, in this instance an upside breakout looks more likely than a downside one. On the present chart, the yellow lines demonstrate the symmetrical triangle pattern. The cyan line is situated 10% above the upper border of the triangle and offers an entry point for speculators willing to place bullish bets on oil. The green line is at the triangle’s width above the pattern and suggests a profit-taking objective if an upside breakout occurs.